There were plenty of Ducks in a row lining to be the NHLPA.com Playoff Performer of the Night on Thursday, but it was Ryan Getzlaf who fit the bill as the first star of the night. 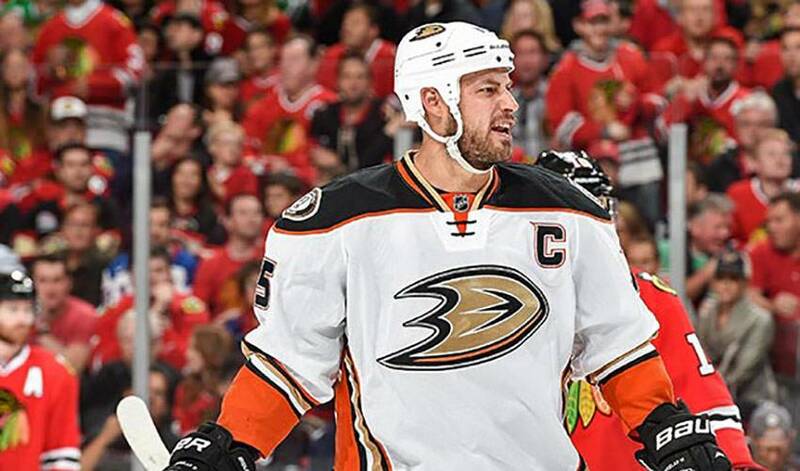 What did Getzlaf do to help Anaheim notch a 2-1 win over Chicago and take the same lead in their Western Conference final series? Pretty much everything, actually. From two assists, including a beauty pass to Simon Despres for the game-winning tally, to a solid night in the face-off circle, the veteran forward was simply sensational in Game 3. The 30-year-old is averaging more than a point per game in this year’s playoffs, ranking first in assists (14) and plus-minus (9). His second helper of the night gave him 90 career playoff points. STAT PACK: Getzlaf played 21:33, netting two points, recording a plus-one rating, winning 57.1 per cent of his faceoffs, while taking 30 shifts. NEED TO KNOW: Getzlaf hosts an annual golf tournament on behalf of CureDuchenne, an organization that seeks a cure for Duchenne muscular dystrophy. He also lends his support to a Calgary Hitmen (WHL) program, "Getzlaf's Gamers," which gives underprivileged children the chance to attend games. ARE YOU READY FOR SOME FOOTBALL? : Getzlaf’s older brother, Chris, is a slotback for the Saskatchewan Roughriders of the Canadian Football League. He won the Grey Cup in 2013 and was named the MVP of the contest. GOLDEN YEARS: Getzlaf has won a gold medal on four occasions with Team Canada: 2003 at the World U18 Championships, 2005 at the World Juniors, and 2010 and 2014 at the Winter Olympics. IT’S A FIRST: Getzlaf netted his first NHL goal almost 10 years ago, scoring his milestone marker against Detroit on October 21, 2005. LEADING THE WAY: Getzlaf is a finalist for the 2015 Mark Messier Leadership Award, given “to the player who exemplifies great leadership qualities to his team, on and off the ice, during the regular season.” The captain, along with teammate Corey Perry, supported – both in money and time - the Anaheim Ducks Learn to Play Program, which offers free classes for first-time hockey players, ages 4-12. LUCKY NO. 7: Getzlaf has led the Ducks in assists in seven seasons, including a franchise-best 66 in 2008-09. HONOURABLE MENTIONS: Frederik Andersen made 27 saves for the Ducks. He currently fashions a 1.75 goals against average and a .935 save percentage. Patrick Kane scored the lone goal for the ‘Hawks. Simon Despres scored the winning goal at 19:05 of the second period.